Support Community & the Arts in Plumas County! 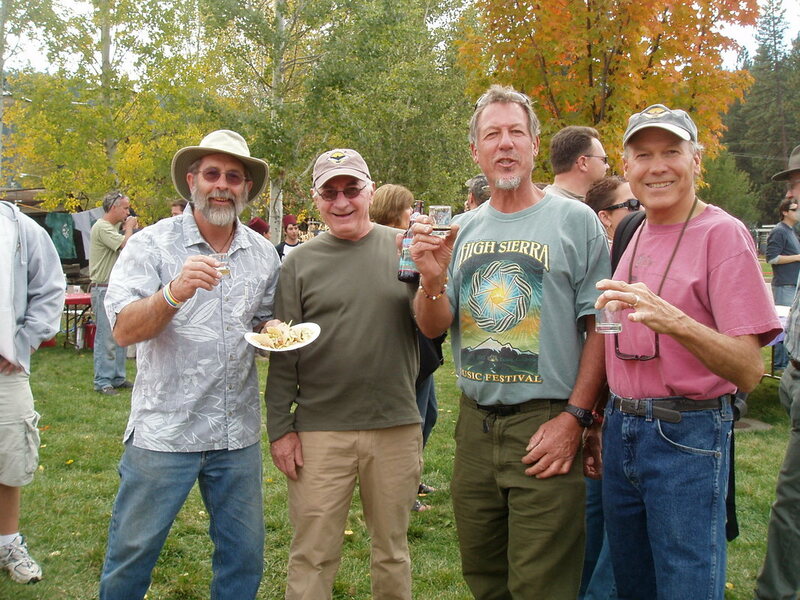 Mountain Harvest revolves around one of the most impressive small town microbrew tastings you will find anywhere. 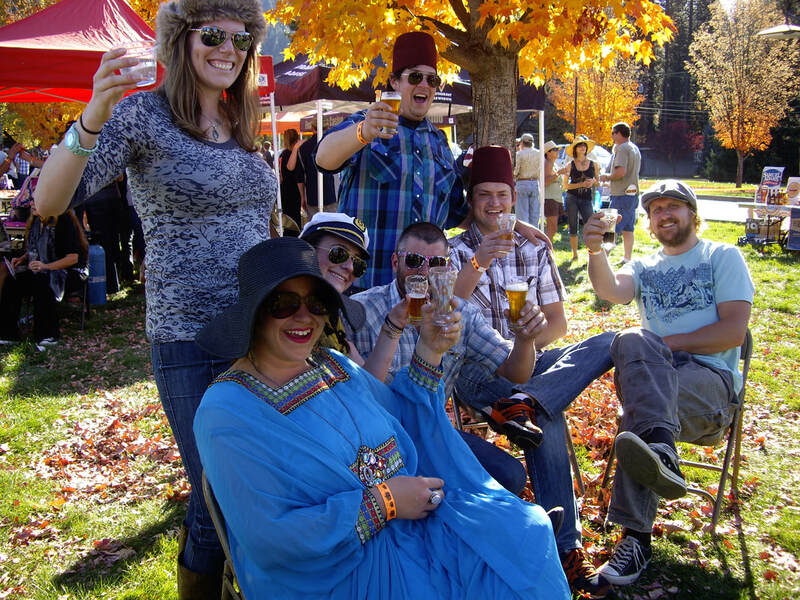 Brewers and brewery owners love to come to this event to proudly share the fruits of their labors and to "talk beer" with an interested, appreciative crowd. We will have more than 20 craft brewers represented with more than 50 brews to sample. Beers coming to the 2018 event. Timeless is the creation of Louisiana native Cort Cortez, whose strong soulful voice carries any tune and whose acoustic guitar adds a bright country twang. After playing professionally on and off since college, Cort formed Timeless in 2011 with long time friend and drummer Don Calac. They were soon joined by Arizona native Mark Beutler, a music student at San Bernardino Valley College who has performed since 1978. Finally, bassist Thomas Braun came on board. He's a Lassen County music teacher who learned his craft doing professional shows in and around New York City. Timeless plays a mix of Classic Rock, Southern Rock, Motown, Classic Country, Country, and Blues; top hits from the 60’s, 70’s and 80’s, along with some contemporary songs. The band looks forward to rocking Plumas County in October! Don't miss the High Sierra Dancing Witches! Catch them between music sets. Uptown Brass was formed a little over a year ago comprising brass members of the Susanville Symphony. The group quickly became in demand and has performed all over the north state of California. Taking their classical instruments and turning them to Rock n' Roll, the Uptown Brass group has a variety of tricks up their sleeves. The group consists of Ben Wade and Craig Harris on Trumpet, Bill Bunker on Trombone, Lori Braatz on French Horn and Matt Mullin, Tuba. From Eye of the Tiger to House of the Rising Son, these classical musicians-turned-rock stars turn heads at every performance. This Mountain Harvest Festival is one of the major fund-raising efforts that helps to keep Plumas Arts bringing you the countless events, services and programs all year long that helps make our lovely little county the very happening cultural center that it has become. Come have a great time and support an organization that make our local way of life worth bragging about! Plumas Arts is our region's most active nonprofit cultural programming agency. We provide art education in our schools, support local artists and performers, manage a gallery exclusively featuring the work of regional artists, host numerous concerts and events, and run the only movie theatre (that doubles as a live performance venue that hosts local and international performing artists) in a 70 mile radius. We recently renovated a historic bar into our new home-- an arts center, gallery and gift shop. NON-TASTING EVENT ADMISSION is $5 at the gate. The Fairgrounds offers overnight camping for $10 per site.